Make a Love Connection with this great charm Gift Set inspired by charms from the 2019 Valentine Collection. PANDORA Love Connection Gift Set features the Path to Love, Asymmetric Hearts of Love and Burst of Love Charms. 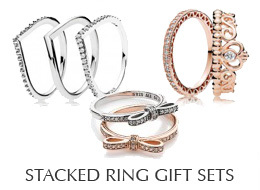 This PANDORA gift set includes is boxed, gift wrapped and tied with ribbon. Please note - gift wrap may differ from what is shown in the photo above.